Is this really the one? 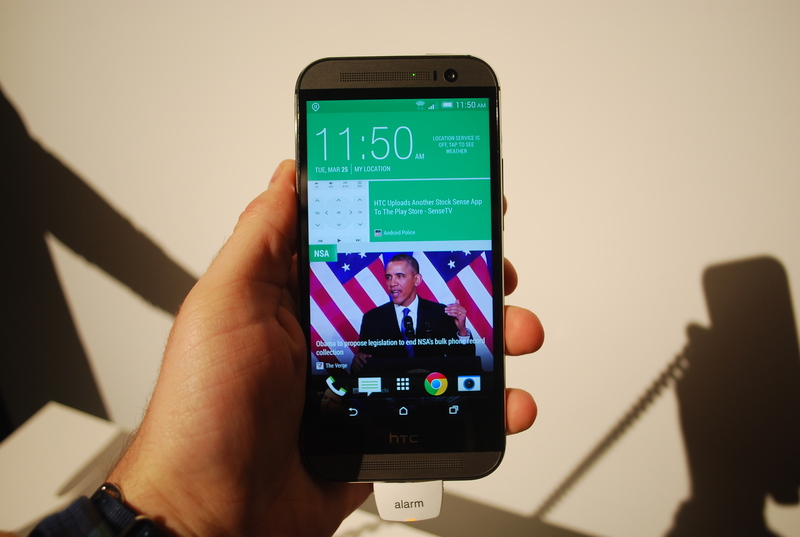 Don’t let the similar name confuse you: The new HTC One M8 is bigger and better than last year’s smartphone in every possible way. It’s a 5-inch Android(s goog) phone that looks similar to its predecessor, but manages to up the ante all around. 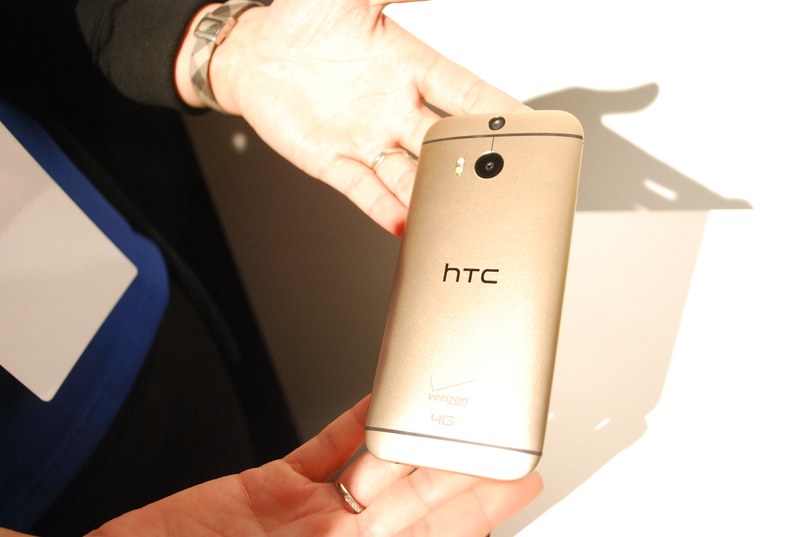 I got to spend some time with it today following HTC’s launch event in New York. The first thing I noticed is that, while the M8 is a bigger phone, it doesn’t actually feel bigger. It has a 5-inch screen, which is a nice bump up from the 4.7-inch panel on the original. The phone measures 5.76 by 2.78 by 0.36 inches and 5.64 ounces. Compare that the original, which measured 5.41 by 2.69 by 0.37 inches and 5.04 ounces, and it’s just a bit taller and heavier. It’s also a bit bigger than the Samsung Galaxy S5, which measures 5.59 by 2.85 by 0.32 inches and weighs 5.11 ounces. Despite the larger size, the M8 feels well-proportioned and comfortable to hold. That might be due to the slightly new design: The phone’s unibody build features seamless edges, which HTC claims makes the phone easier to hold. As far as the display goes, if you liked the original HTC One, you’ll find plenty to like here. The M8 uses the same Super LCD 3 technology, but the larger display actually means the pixel density is lower. You’re still getting 440 pixels per inch, so you can’t actually tell the difference. The screen gets very bright and colors are saturated, making both text and images look crisp. HTC moved the phone’s function buttons onto the display itself, but unfortunately, it kept the thick bezel and HTC logo beneath the screen. Executive director Nigel Newby-House told me that this is because the LCD itself measures more than 5 inches, but it still feels like wasted space to me. I’d almost rather see the capacitive buttons again. While the phone mostly looks the same, it’s made of 20 percent more metal housing than the original. That doesn’t actually make it more durable, though HTC will replace your screen for free if you break it within the first six months. The phone also isn’t water-resistant, like the Galaxy S5. But what you lose in durability, you gain in style. 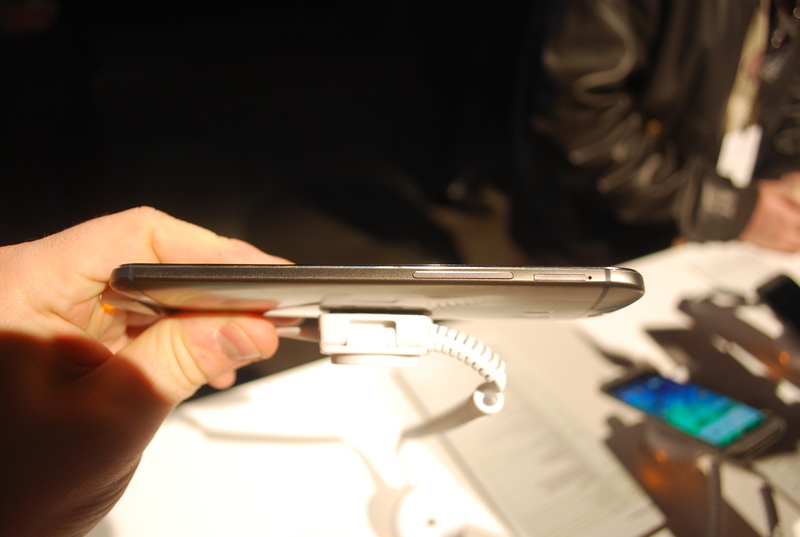 The phone’s brushed metal exterior looks and feels sharp, and makes the plastic Galaxy S5 seem likes a kid’s toy. Simply put, this is the nicest looking Android phone out there. The phone’s slight redesign allows for even better speakers this time around as well. The M8 features dual front-facing speakers, a new multi-band amplifier and redesigned speaker chambers that make audio 25 percent louder than the original. I was able to hear it playing music in a noisy, crowded demo booth, though I couldn’t discern how sharp or rich anything actually sounded. The phone is powered by Qualcomm’s(s qcom) latest quad-core 2.3GHz Snapdragon 801 chip, which is the same processor in the Galaxy S5. It also features 2GB of DDR2 memory. Everything about the phone felt super fast, from paging through home screens to opening up apps. I didn’t get to run any benchmarks, but I suspect performance will be comparable to the GS5. That should make these among the fastest Android phones available. On the software side, the M8 runs runs Android 4.4 (KitKat), along with HTC’s Sense 6 and BlinkFeed extensions. BlinkFeed features more content partners and is more customizable than before, though you probably still won’t like it if you weren’t a fan of the original. If you prefer stock Android, you’re in luck, because HTC will also be releasing a Google Play Edition of the phone, which features the same hardware but with stock Android software. One cool new feature I tried is the phone’s motion control. Built-in motion sensors automatically detect when you pick up the phone, and you can use a number of swipes or taps to unlock your screen or open an app without even hitting the power button. I was able to pick the phone up, then swipe down on the screen to automatically trigger voice dialing. Similarly, a swipe to the left launched the widget panel. It felt surprisingly liberating not to have to press the power button first. The only thing I’m not really sold on is the M8’s camera. The phone has a 5-megapixel front-facing sensor, which is awesome. But the back of the phone still uses the same 4-megapixel “UltraPixel” camera. An HTC spokesman told me that this is because the camera is geared towards sharing photos socially, rather than printing them out. That means the larger pixels used here are meant to capture more light, rather than more detail. So while you might not be able to shoot a sharper picture than the Galaxy S5, in theory you can get a better shot in lower light. I say in theory because that’s how it was supposed to work on the HTC One, although I didn’t find it offer significantly better low-light performance in practice. 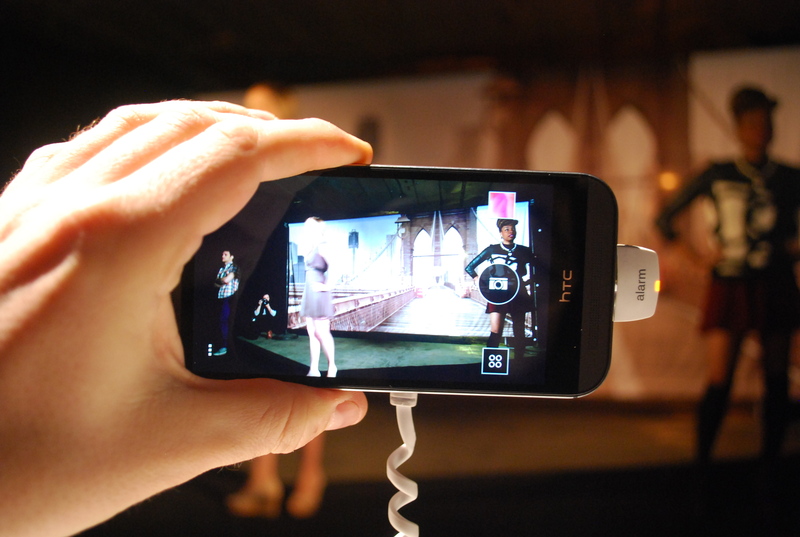 On the positive side, HTC has also added a second rear sensor that lets you refocus a photo after you take it. This actually worked pretty well in a test shot, and the software makes it pretty easy to do. But I still just don’t buy HTC’s rationale behind the UltraPixels. The HTC One’s camera was pretty weak, and aside from the ability to readjust focus here, I’m not seeing much of a difference. Other features: the phone comes in either 16GB or 32GB models, with a microSD card slot that accepts cards up to 128GB – a major improvement over the original, which lacked a memory card slot. 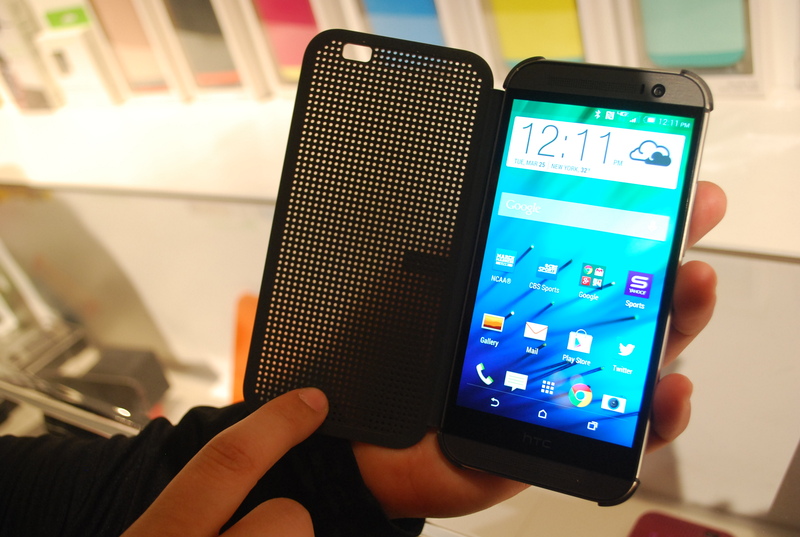 It also has a 2,600mAh battery, which HTC claims lasts 40 percent longer than the original. HTC has added an Extreme Power Save mode, which gives you up to two weeks of standby time by limiting your access to just calls, text, email, and a few various other functions. It reminds me of the Ultra Power Saving mode in the new Galaxy S5. 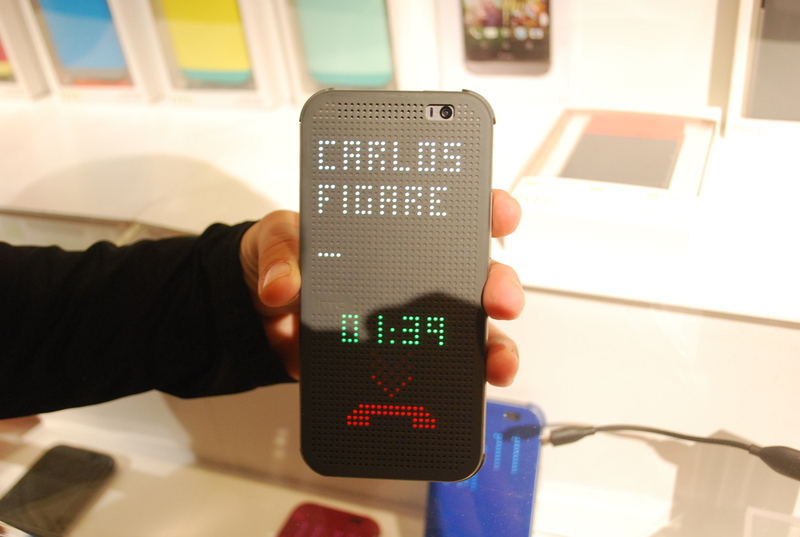 HTC has also made a really cool case to go along with the phone, that shows incoming notifications through retro, dot-matrix style cutouts. And though the phone comes in silver, you can score a gold version if you buy it through Best Buy(s bb). So is the HTC One M8 a better phone than the Samsung Galaxy S5? I’ll need to spend a lot more time with both devices to decide, but a couple of things seem fairly clear. If you prefer a sleek, industrial design to water resistance, the M8 is a better choice. On the other hand, if you’re a more focused on strong mobile camera experience, the Galaxy S5 will likely offer a better experience. The good news is that both phones seem like solid options, and will likely set the standard to which other Android phones will be measured over the next year.